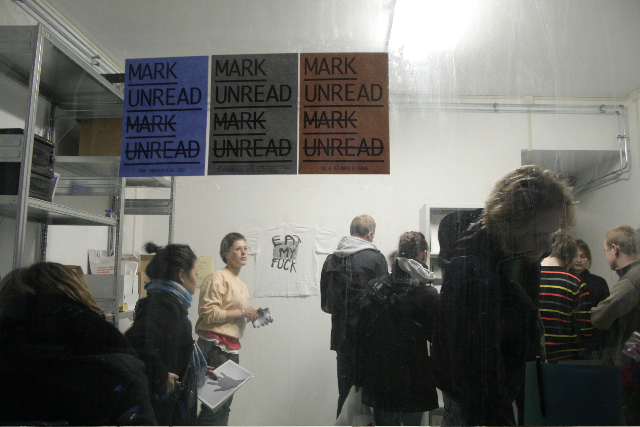 In the beginning of 2008, Rebecca Stephany, Pieter Verbeke and me started MARK UNREAD: an Amsterdam based platform for self-initiated publications made in small edition. It's an opportunity for young designers and artists to show and sell their work. Our first event was launched in the weekend of 1 and 2 March, 2008. Our next aim is to have the MARK UNREAD archive online as soon as possible. Go to the website if you want to know more about the events. Or sign up at the mailing list.